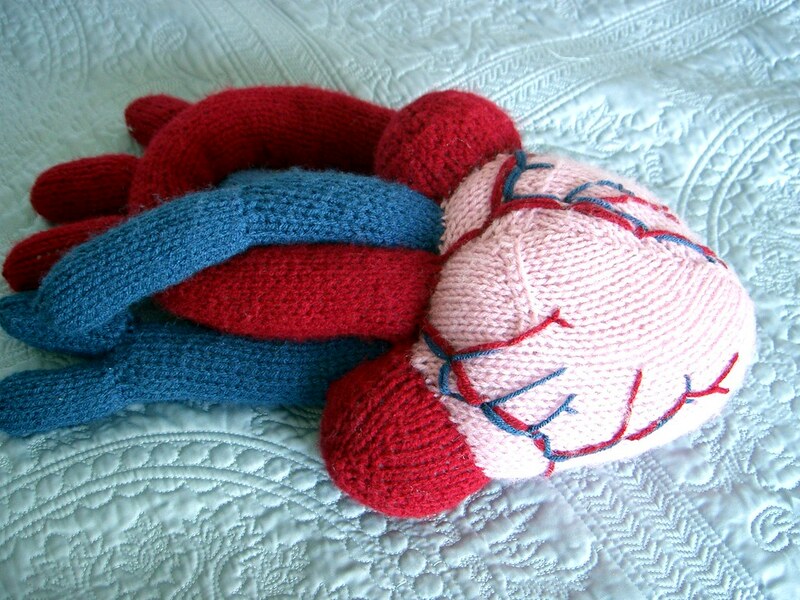 Here's my knit anatomical heart, from a pattern in Knit.1. It has been modified to be more anatomically correct than the original pattern. I hope you guys like it! It was fun to make, but the finishing instructions in the magazine were very confusing. Haha- this is so cool. I wish I had the pattern.. I am a nursing student and I know a few soon to be nurses who would love to get one of these! Wow it turned out so great!! I was hoping someone would try this pattern! Which issue was this from? I'd love to make one! That is so cool! 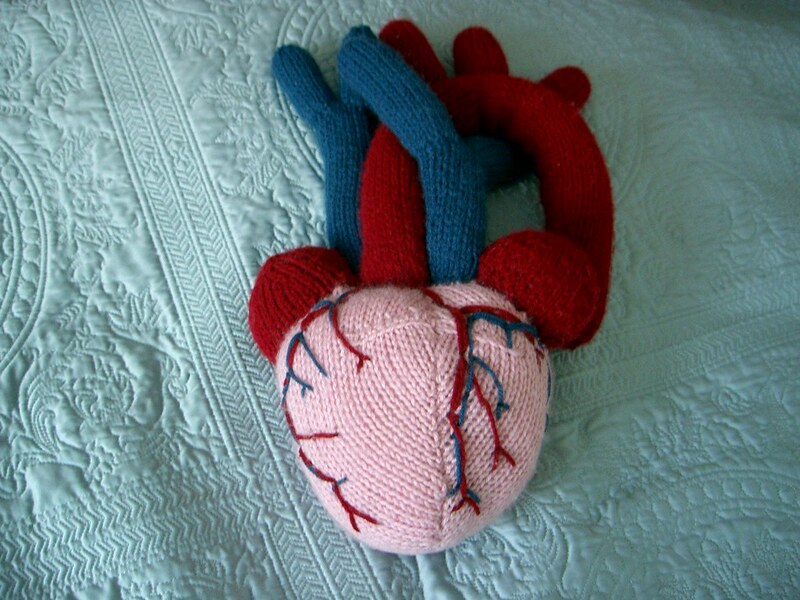 I would have learned a lot more if they made us create knit objects in biology. Like, ok here is the model of a cell, you have 4 weeks to knit an anatomically correct version. That would pretty much guarentee that I actually learned and could name every part! This is incredible! You are the coolest. Ooh, I love it! What modifications did you make?